YES, cats can get heartworm disease too! Heartworm disease is transmitted to cats the same way that it is transmitted to dogs, via infected mosquitoes. 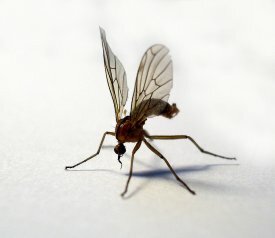 Once an infected mosquito bites a cat, microscopic larvae will migrate and find their way into the bloodstream, eventually maturing and staying in the heart and lungs. Heartworm prevention is safe and easy. While treatment for heartworm disease in dogs is possible, there is no effective treatment for heartworm disease in cats, so it is imperative that disease prevention measures be taken for cats. To protect against heartworm disease our veterinarian at Birdneck Animal Hospital recommends a monthly preventative be given to your cats. We carry a very safe and effective product called Revolution. This product has the added benefit of controlling fleas and some intestinal parasites! Our animal hospital carries a variety of heartworm prevention products for dogs as well as cats. Call our office for further questions about the right medication for your pets to control fleas, intestinal parasites, and heartworm disease.